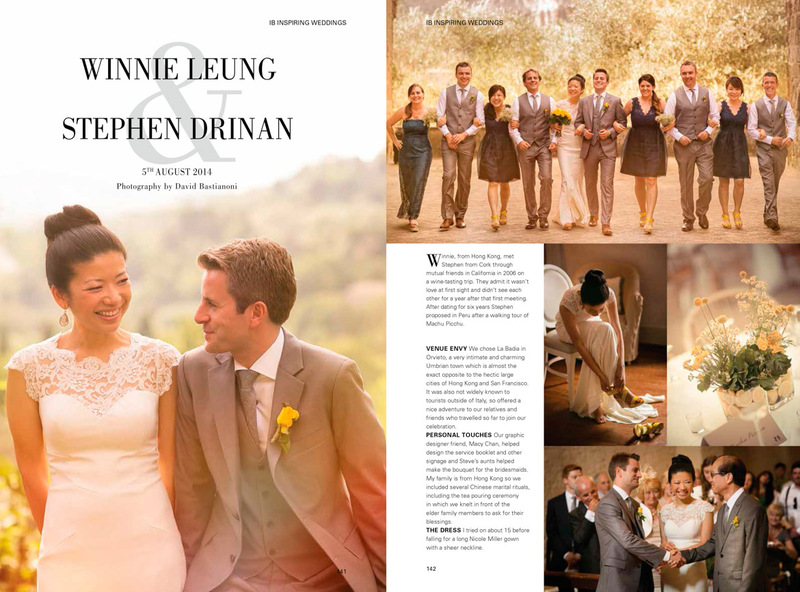 You can find this article number in Magazine Irish Brides Spring 2015 Winnie, from Hong Kong, met Stephen from Cork through mutual friends in California in 2006 on a wine-tasting trip. They admit it wasn't love at first sight and didn't see each other for a year after that first meeting. After dating for six years Stephen proposed in Peru after a walking tour of Machu Picchu. 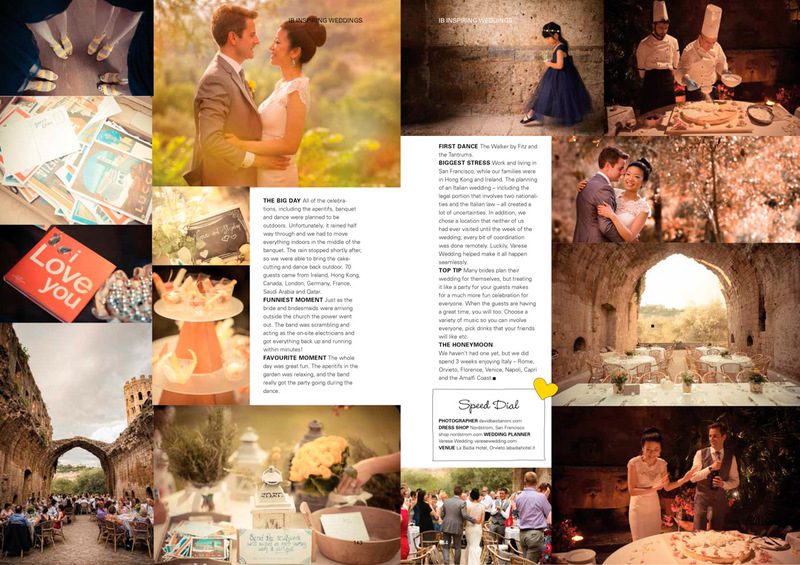 VENUE ENVY We chose La Badia in Orvieto, a very intimate and charming Umbrian town which is almost the exact opposite to the hectic large cities of Hong Kong and San Francisco. It was also not widely known to tourists outside of Italy, so offered a nice adventure to our relatives and friends who travelled so far to join our celebration. PERSONAL TOUCHES Our graphic designer friend, Macy Chan, helped design the service booklet and other signage and Steve’s aunts helped make the bouquet for the bridesmaids. My family is from Hong Kong so we included several Chinese marital rituals, including the tea pouring ceremony in which we knelt in front of the elder family members to ask for their blessings. THE DRESS I tried on about 15 before falling for a long Nicole Miller gown with a sheer neckline THE BIG DAY All of the celebra- tions, including the aperitifs, banquet and dance were planned to be outdoors. Unfortunately, it rained half way through and we had to move everything indoors in the middle of the banquet. The rain stopped shortly after, so we were able to bring the cake- cutting and dance back outdoor. 70 guests came from Ireland, Hong Kong, Canada, London, Germany, France, Saudi Arabia and Qatar. FUNNIEST MOMENT Just as the bride and bridesmaids were arriving outside the church the power went out. The band was scrambling and acting as the on-site electricians and got everything back up and running within minutes! FAVOURITE MOMENT The whole day was great fun. The aperitifs in the garden was relaxing, and the band really got the party going during the dance. FIRST DANCE The Walker by Fitz and the Tantrums. BIGGEST STRESS Work and living in San Francisco, while our families were in Hong Kong and Ireland. The planning of an Italian wedding – including the legal portion that involves two nationali- ties and the Italian law – all created a lot of uncertainties. In addition, we chose a location that neither of us had ever visited until the week of the wedding; every bit of coordination was done remotely. Luckily, Varese Wedding helped make it all happen seamlessly. 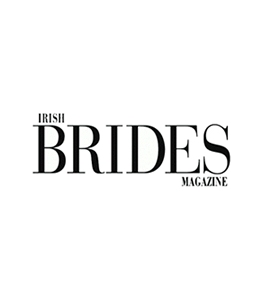 TOP TIP Many brides plan their wedding for themselves, but treating it like a party for your guests makes for a much more fun celebration for everyone. When the guests are having a great time, you will too. Choose a variety of music so you can involve everyone, pick drinks that your friends will like etc. THE HONEYMOON We haven’t had one yet, but we did spend 3 weeks enjoying Italy – Rome, Orvieto, Florence, Venice, Napoli, Capri and the Amalfi Coast.